Joe Scarborough says Trump is sullying the reputations of career public servants and urges them to reconsider their unwavering support of the president. 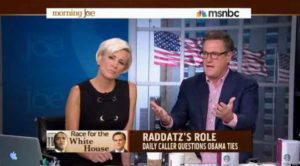 Ms. Brzezinski said in February that she would no longer book Ms. Conway on the show, because she and Mr. Scarborough had come to believe that the White House counselor was prone to spreading falsehoods. On the air last week, she renewed that criticism, calling Ms. Conway “not credible” and chiding CNN for featuring Ms. Conway. Look, politics is not in 2017 the same as politics was in 1950. In case you haven’t seen or heard, America is in the midst of an all-out political war. That war has been fueled by hatred, anger, class warfare, from hundreds of thousands of people from various political backgrounds and socioeconomic standings. But it impacts every American. And unfortunately, in today’s America it is too easy to record and replay any and every sentence spoken and every act done by anyone in just seconds after those things are said or done. Politicians and talk show hosts are the biggest perpetrators of spinning negative narrative aimed at conservatives and liberals that always include allegations against those with political leaning opposite of who spins the story of the day. This has acted as gasoline on the fire of political discord in America that grows bigger and consumes more of the nation every day. There is NO end in sight. At an event on Tuesday night, Sen. John McCain (R-AZ) said said that Donald Trump’s scandals are “reaching Watergate size and scale.” “This is not good for the country,” he added. 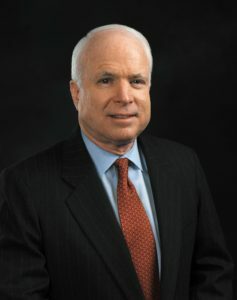 Sen. John McCain of Arizona has said that U.S. leadership was better under President Barack Obama than his successor, President Trump. McCain noted that he had “raised questions about [Trump’s] character” several times before, after the candidate made offensive remarks about prisoners of war (including McCain himself), a federal judge of Mexican descent and the Muslim parents of a deceased U.S. soldier. Yet, McCain had stopped short of breaking ties with the GOP nominee. The comments leaked on Friday, however, appear to have been a breaking point. “I have wanted to support the candidate our party nominated. He was not my choice, but as a past nominee, I thought it important I respect the fact that Donald Trump won a majority of the delegates by the rules our party set. I thought I owed his supporters that deference,” McCain said. He continued: “But Donald Trump’s behavior this week, concluding with the disclosure of his demeaning comments about women and his boasts about sexual assaults, make it impossible to continue to offer even conditional support for his candidacy.” McCain said he and he wife, Cindy, would not vote for Trump or for Hillary Clinton, the Democratic nominee. The political furor is NOT going to diminish in volume. Political attacks are NOT going to reduce in number nor EVER achieve some type of peaceful resolution. What can we do about that? It will take at least one generation to “drain the swamp.” I’m not blaming all this on Washington D.C. But I have seen only one “major” politician in power who has made any demonstrative effort to start draining the swamp: Donald Trump. Yes, he struggles with not responding to those who attack him. But remember this: he’s NOT a politician; he’s a businessman. That’s not an excuse — it’s the truth. My late Mother once told me that “if you tell a dog everyday that it’s a pig, eventually it will stop barking and begin to oink.” Donald Trump hears and reads everyday all the lies, half truths, denigrating comments about those in his administration and his family, and all his policies and proposals that — by the way — Americans elected him for! No wonder the man lashes out every once in a while. We’ve never seen this kind of reaction from a President. But in fairness to him, we’ve never seen these constant attacks on a daily basis against a President led by a out-of-the-closet far left Media. They say and print anything to attack him. Let me close by parroting what Meghan McCain said today. But I’m saying it about the Media and many in politics and what they say daily: “This is below the Presidency.” Donald Trump will not be President forever. The Media and Politicians WILL be around forever. Start acting like you are adults and Americans. Let’s all respect the Office of the Presidency and whoever occupies it. And stop making excuses for doing exactly opposite of that. Donald Trump is the President of the United States….PERIOD. 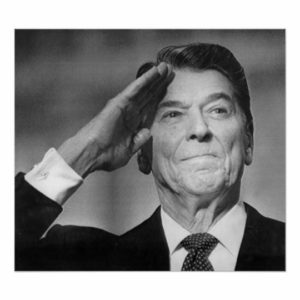 For that (and the 60 million Americans who voted for him) he deserves the same respect Americans gave to Obama, Bush, Clinton, Bush, Reagan, Carter, Ford, Nixon, Johnson, Kennedy, Eisenhower, etc. Juan, you may not like him, but he certainly has completed much of what he promised to get done, unlike his predecessor. And he’s only just begun. The Ministry of Defense of Iraq has announced Thursday that ISIS terrorists have been eliminated or knocked out of all districts of the city of Mosul, Sky News Arabia reports. “ISIS no longer has a single district in Mosul. The militants have no choice but to surrender. The IS presence in Iraq has ended forever,” the ministry said as quoted by Sky News Arabia. Earlier on Thursday, Iraqi government troops captured the 845 year-old Grand al-Nuri Mosque in Mosul from where ISIS proclaimed its self-styled caliphate three years ago. For more than eight months, the northern city of Mosul served as the de facto capital of ISIS in Iraq. Following the seizing of the mosque, Iraqi state TV broadcasted a message announcing the “fall of the mythical state,” referring to ISIS. 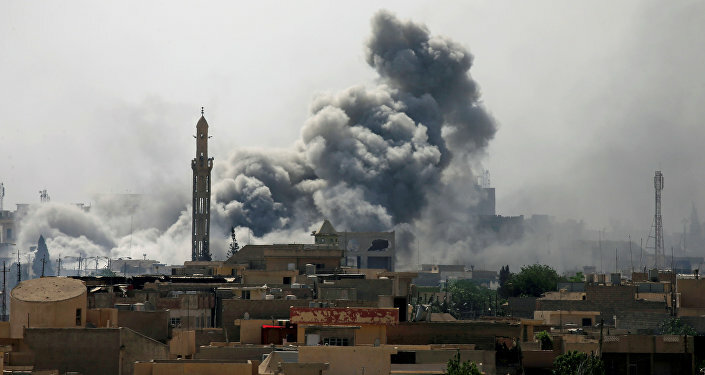 “Their mythical state has fallen,” Brigadier General Yahya Rasool, an Iraqi military spokesman, told state TV.The ISIS terror group took over Mosul in June 2014, and the operation aimed at liberating the city from terrorists started in October 2016. The eastern part of the city was liberated by Iraqi and US-led coalition forces in late January. A month later, the Iraqi forces began the operation aimed at liberating western Mosul from ISIS. The US-led coalition of 69 members is conducting airstrikes, ground-based and rocket-propelled artillery fire against the ISIS in Syria and Iraq. Unlike the coalition illegitimate status of operation in Syria, the strikes in Iraq are conducted in support of the Iraqi government. Are you like me tired of all the hoopla regarding every political proposal either party pitches to Americans and the way they pitch them? They obviously — Democrats AND Republicans — think Americans are too stupid to understand proposed legislation, are incapable of reading a bill to garner the truth good or bad in each, and are OK with political hacks trotting out to characterize their side of each proposal as the only good one and that the other side’s thoughts on each proposal means they want all Americans to die. Stop with the insults and constant noise. Just give Americans the facts. Example: even the CBO that is supposed to be non-partisan when releasing their analysis of what the impact of the Senate Healthcare Bill if passed would be predicted a loss of health insurance for 20+ million Americans. (Notice the way they couched that particular point) In truth that statement by the CBO is NOT true. The truth is that 20 million of those who under Obamacare were forced to enroll in Obamacare or pay massive fines/taxes for NOT enrolling will (under the Senate bill if passed) be able to choose to NOT be insured at all. No one is taking away their healthcare. Yet Chuck Schumer and his minions in the Democrat Party and the Dems’ media lapdogs are telling everyone those 20+ million will lose their healthcare. And according to Pelosi, Sanders, and Warren, thousands if not hundreds of thousands will die! That’s just one example. Abolishes the Obamacare Individual Mandate Tax which hits 8 million Americans each year. Combined with the Employer Mandate Tax listed immediately below, this is a $137 billion tax cut. Abolishes the Obamacare Employer Mandate Tax. Combined with the Individual Mandate Tax listed immediately above, this is a $137 billion tax cut. Abolishes Obamacare’s Medicine Cabinet Tax which hits 20 million Americans with Health Savings Accounts and 30 million Americans with Flexible Spending Accounts. This is a $5.6 billion tax cut. Abolishes Obamacare’s Flexible Spending Account tax on 30 million Americans. This is a $18.6 billion tax cut. Abolishes Obamacare’s Chronic Care Tax on 10 million Americans with high out of pocket medical expenses. This is a $36 billion tax cut. Abolishes Obamacare’s HSA withdrawal tax. This is a $100 million tax cut. Abolishes Obamacare’s 10% excise tax on small businesses with indoor tanning services. This is a $600 million tax cut. Abolishes the Obamacare health insurance tax. This is a $144.7 billion tax cut. Abolishes the Obamacare 3.8% surtax on investment income. This is a $172 billion tax cut. Abolishes the Obamacare medical device tax. This is a $19.6 billion tax cut. Abolishes the Obamacare tax on prescription medicine. This is a $25.7 billion tax cut. Abolishes the Obamacare 0.9 Medicare payroll tax increase. This is a $58.6 billion tax cut. Abolishes the Obamacare tax on retiree prescription drug coverage. This is a $1.8 billion tax cut. Abolishes the Obamacare remuneration tax increase on insurers. This is a $500 million tax cut.The bill also delays (until 2026) the “Cadillac” tax on employer-provided insurance. This saves taxpayers $66 billion over the next ten years. Here’s what worries me about what’s happening on Capitol Hill: you and I are not hearing these facts from legislators. It seems that everyone has some little “piece” of this legislation just like every other one. A Senator from this state needs federal Medicaid block grant funding to go up a certain amount to make his/her voters happy, while a Senator from an adjoining state needs federal Medicaid block grant funding to be decreased by a certain amount to please his/her voters. And it seems that everyone has an agenda that is separate and different from almost everyone else. Who is taking the lead in all this? House Speaker Paul Ryan should (as is precedent for every previous House Speaker) take control of the narrative of all GOP House legislators and get them all on the same page without butchering the bill that’s before them. Mitch McConnell should do the same thing in the Senate. That is NOT happening. Ryan DID get the House bill passed. But it is full of compromise and spending dollars that if voters knew the details of there would be voter demonstrations in D.C. The same is true for the pending Senate bill. Why can’t these men and women take up a piece of legislation, discuss, debate, and amend based solely on what is best first for the Nation, secondly for voters in their districts, with the last consideration for their vote to be how it impacts them personally? Whatever happened to those days in Washington? I’ll tell you what happened: drive down K Street in D.C. and look at all the lobbying firms (primarily law firms) full of FORMER Congressmen, Congresswomen, and Senators who are paid millions and who have fat expense accounts to use to garner favor and a vote among current legislators on any pending legislation or future legislation that could be in favor of that lobbyist’s clients. Power and money are all that matter anymore. Middle Income Americans are way down the pecking order of importance for lawmakers. Of course they’ll all say differently. But if that is not true, why haven’t they passed a repeal and replace bill for President Trump to sign into law? They all campaigned on that promise just as the President did. The answer: they’re still negotiating for THEIR piece of the pie. I did not post on Monday of this week because I simply wanted the air to clear — the air in MY head. There has been so much noise resonating in the press for the last four days about some very important issues in America, I really wanted to weigh in. But the noise has NOT been full of facts, but of vitriolic attacks on everything in the news. Remember my commitment when I started this blog: (you can see it in the “Why do I Blog” section) “I will never write and post a blog or share a podcast simply because ‘I haven’t posted one in a while and people will get upset if I don’t! '” So I did not post allowing all the stuff in the air to settle. I don’t think it’s settled, (and don’t think it ever will) but it has quieted a bit. So I thought, “Why not make some history today by making a few predictions.” Politically we Americans hear predictions about things everyday that are mostly absurd and are made to serve one purpose: to ratchet up the rhetoric from those from one political perspective to those of another political perspective. Seldom do those predictions come true. And the “predictor” always hopes that Americans will forget who made the forecast in the first place. I want you to write down these that follow here and know that they all came from me. If I miss a few, I’ll take the blame. But if they all pan out, you owe me! Kim Jung-un will be assassinated. 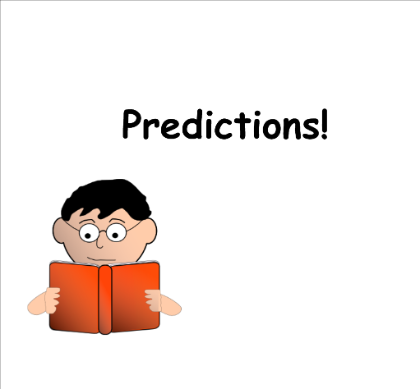 You must agree I am stepping out on a limb with some of these predictions. Print them off, copy and paste them somewhere, but hold me to them. Let’s see how accurate my crystal ball is. Boy how things change. Obama attacked Trump saying “no serious person out there…” making fun of Trump’s claims of rigged elections. He added this: “I want everybody to pay attention here. 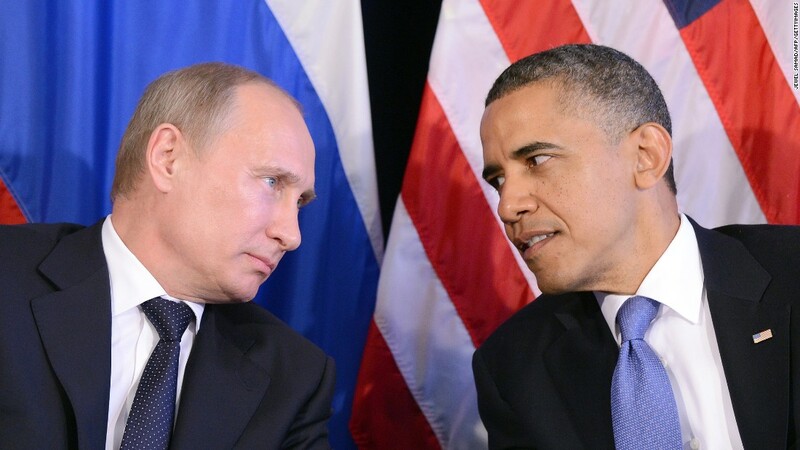 That is dangerous,” Obama continued. “Because when you try to sow the seeds of doubt in people’s minds about the legitimacy of our elections, that undermines our democracy. Then you’re doing the work of our adversaries for them. Because our democracy depends on people knowing that their vote matters, that those who occupy the seats of power were chosen by the people.” What hypocrisy! He knew when he said all of the above that there was actual evidence given to him by U.S. Intelligence of Russian attempts to hack/rig the 2016 election! The big question from this conversation is still hanging out there: what “flexibility” was Obama referring to? Did it mean that he would be able to help Russia in the next U.S. Presidential election because he would be unable to run again? Or did he mean his having flexibility in completing the American dismantling of the NATO missile defense system in Europe that Russia so desperately wanted? Unfortunately those two questions are still hanging out there and probably will never be formally answered. What we DO know is that as far back as August of 2016, (two months before Obama’s slam against Trump shown above and 3 months before the election) Obama’s Intelligence Community had notified him that the Russians were diligently working to influence the outcome of the 2016 election, purportedly to help Trump get elected. 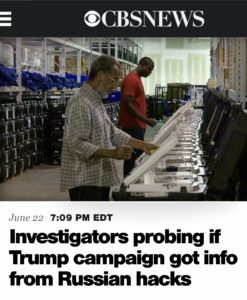 (Remember though: the truth of the “help Trump get elected” piece is still undetermined) Why would the President remain quiet about the Russian election intrusion unless he was somehow involved? Was he so certain that Hillary would win that his not revealing that sensitive information when given to him would be buried in her Administration? 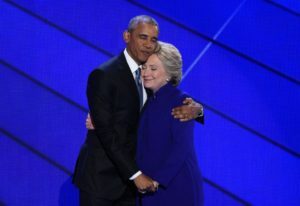 It is difficult to believe that even Barack Obama, who hated controversy and avoided it pretty much at all costs, would roll the dice on a HRC victory against Donald Trump. But there’s another question floating through the air here. Current and past heads of the Big 4 Intelligence agencies all met with Trump Administration officials after the election in the run up to the Inauguration for the purposes of briefing the President-elect and his staff about foreign Intelligence issues. Why did THEY not share this Russian election tampering with Mr. Trump? Could it have been that they were still working for Obama and were told to keep quiet about it? Let’s throw ANOTHER question into this circle that may blow your mind: Maybe there was NO Russian attempt to affect the election and the story about it was created (maybe based on information from “anonymous” sources) to discredit the new President and put multiple roadblocks in his way early in his presidency to protect Obama’s legacy, which is steadily sliding into oblivion. Hmmm…. While we are examining possibilities for the reasoning behind all of this, there is one more hypothesis that I need to throw into the mix: knowing that Obama considers himself to be a political intellectual with much higher intelligence than either Hillary Clinton or Donald Trump, and knowing his disdain for Trump and his feelings for the Clintons because of the way they treated him in the 2008 election campaign, maybe he purposely neglected to alert the Clinton Campaign AND the Trump Campaign (and Congress) about the Russian election tampering. Why would he do that? It would have been a way for him to quietly get back at Hillary for their denigrating him in ’08. As far as Trump is concerned, Obama thought (and apparently still does) that Donald Trump is incapable of putting the Russian puzzle pieces together so as to figure out what actually happened. And when Obama saw Trump win he created and implemented the plan to derail Trump’s early work with the “Trump Russia-Gate Collusion” campaign, even thinking he might incite a real impeachment action against the President. I know that may sound far fetched, but Obama is not just a narcissist, but a ruthless one. He remembers all the things that were said about him by The Donald during the campaign, and he also remembers what Bill Clinton so famously quipped about then Senator Obama in the 2008 Campaign speaking to Ted Kennedy while trying to get the Kennedy endorsement for Hillary: “A few years ago, this guy would have been carrying our bags.” Hell hath no fury like a Democrat scorned. Hey: Maybe Obama even voted for Trump! Of course all of the above is speculation on my part. But you must agree this “Russia” thing has gone on too long with no evidence of any Trump collusion at all. Certainly with all of the intelligence sources, news scrutiny, and Wikileaks access to documents and information, if there was any real story there about any type of collusion between the Trump Campaign and the Russian government in any way, it would have been plastered across the sky, not just in news broadcasts, talk shows, and the papers. That being said, the fact there has been so much concentration on Russia in this, there must be something there. It seems that the “there” there is NOT anything to do with Trump. Low and behold, it looks like the collusion may really be between former President Obama and the Putin folks — if there really is any “there” there! The talking heads in the MSM (Mainstream Media) have gone postal regarding the “poor” treatment of those in their ranks by President Trump and the White House Press Secretary’s Office. CNN did an entire segment in which their White House Correspondents complained over and over again about the “lack of transparency” of the Trump Administration in that the press were precluded from using cameras or audio recordings from briefings. Why the furor? The simple answer: most in the MSM today are too lazy to actually attend a press conference and write (document) the content of questions asked and answers given during a Press Conference. It is much easier to record the entire charade and then rely on their network’s editors to piece together the questions and answers from the press conference that best play into the version they wish to portray to the American public. In other words, White House reporters prefer the Administration do their work for them in a manner that allows them to spin the news rather than use actual quotes in the context of their presentation in press briefings. And, of course, they blast the President for being so “unavailable” to the press now. So how “available” have previous presidents been? Obama had 163 press briefings, an average of 1.72/month. He is the one with the lowest rate since Ronald Reagan, who held 46 (0.48/month). In 1974, Nixon had only 2 press conferences – the lowest in a year; in 1940, the year after WWII broke, Roosevelt hold 89 press conferences – the record. Why the crying about this Administration’s press availability? I wonder if today’s press corps are old enough to remember previous administrations policies and methodologies used during their press briefings? 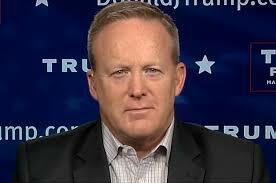 Many of today’s reporters are really young and may not remember that arguably one of the Nation’s most successful presidents — Ronald Reagan — had just one press briefing every other month and that both Bush 41 and Bush 43 held more press briefings than Obama — who self proclaimed to have “the most transparent administration in history.” Which president has had the most press briefings per month in office? So far, Donald Trump. The current MSM literally worshiped President Obama in almost every way regarding news reports. But in many ways, Obama despised the press corps. And he treated them pretty poorly at times. But in doing so it was pretty common for him to very publicly and sometimes very nastily to take advantage of the MSM’s adoration for him. He used them and “abused them” as it was convenient for him. 2. Closing White House events to all but the official photographer. Obama barred the media from events — including, ironically, an award ceremony where he was recognized for “transparency” — and often restricted photographers’ access, only releasing images taken by the official White House photographer. 3. Trying to shut out Fox News. The Obama administration targeted Fox News for isolation and marginalization, arguing that it was not a legitimate news organization but “the research arm or the communications arm of the Republican Party.” That served as a warning to other potentially critical outlets. 4. Stonewalling FOIA requests. The Obama administration “set a record” for failing to provide information requested by the press and the public under the Freedom of Information Act. The low point was Hillary Clinton’s email scandal, where tens of thousands of emails were hidden on a private server and deleted. 5. Prosecuting journalists and their sources. The Obama administration pursued Fox News reporter James Rosen’s private emails — then misled Congress about it. CNN’s Jake Tapper — to his credit — pointed out that Obama had used the Espionage Act against leakers more than all of his predecessors combined. 7. Refusing to hold press conferences. For long stretches of his presidency, Obama refused to hold press conferences at all, going 10 months without a formal press conference in a critical stretch from 2009 to 2010. He held the lowest average annual number of press conferences of any president since Ronald Reagan. 8. 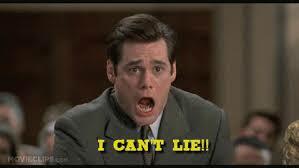 Filibustering at press conferences. When Obama did, finally, hold press conference, he often limited the number of questions by delivering long, rambling, often condescending answers. He “wastes reporters’ time by refraining from answering questions with any candor,” Jack Shafer complained in Politico in 2016. 11. Iran deal “echo chamber.” The Obama administration created “fake news” to support the Iran deal, setting up what it later boasted was an “echo chamber” of “experts” who would comment in the media to support the White House narrative on the negotiations. Meanwhile, key details were hidden from the public. I previously (on two different occasions) urged President Trump to — at least for a time — do away totally with daily press briefings and find a way to at least once a week take his message DIRECTLY TO THE AMERICAN PEOPLE and the World at the same time. How? Create a “White House YouTube Channel.” Can’t you see the success such a move would be? He could from the Oval Office address all the presidential issues hanging out there, inform Americans what his positions are on each important item of the day, could give Americans his specific plans for proposed actions and future actions he plans to initiate, and could do all this without any concern of a “filter” that would be put on anything and everything he said (if this was a press conference) by the MSM who would spin what he said, not repeat what he said. He has already proven his ability to engage more than 100 million from his Twitter account. Why not go to YouTube to take it to the next step? For those who would say his doing so would terminate the media’s ability to confront the president on major issues, he could take written (or emailed) questions from reporters during each week and address a number of those directly in his YouTube addresses. But let’s be honest: it NEVER matters how he answers questions, the MSM never take his word and spin what he says into the story they want to tell. The bottom line here is this: the Mainstream Media will never allow President Trump the ability to — in conjunction with them — give America the honest perspective of his agenda….period. He needs to accept that as horrible and un-American as it is. He needs to now trust Americans to discern the truth in what they see and hear and make educated decisions along with him and other Americans about the path ahead for the United States. That will NOT happen with today’s Mainstream Media. Dems SCREAM “Don’t repeal…..let’s just fix it!” Fix it how? They haven’t offered a fix! The House of Representatives passed a replacement plan. The Senate is working on another version now. Senate and House leaders will meet in conference to reconcile the two. Isn’t that how it’s supposed to work in Congress? Detractors are SCREAMING against the Senate bill even thought they don’t yet know what’s in the initial draft and certainly don’t know what their finished product will look like. ABC News: Then we check out that bastion of news impartiality, ABC News. 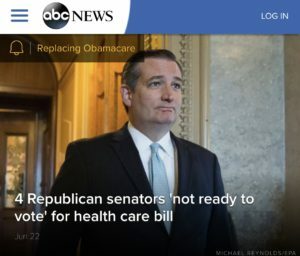 Once again, here’s Senator Ted Cruz (R-TX) who tells ABC News exactly what he told FOX News: he cannot vote for the bill as it has been rolled out, but he wants to get to a “Yes” and will gladly do so, working with other Senators and members of the House in reconciliation to get Obamacare repealed and a good replacement in place. CBS News: The Walter Cronkite/Mike Wallace/Dan Rather institution of news called CBS News. You know them. 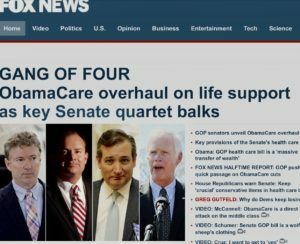 They give Americans all of this combined: fair and balanced; honest news; always impartial and complete news; true news journalists; as they say “The most watched News Network in the United States.” Their lead story and headline the evening of the release of the Senate Healthcare bill: “Investigators probing if Trump campaign got info from Russian hacks.” Seriously?! The single item that comprises almost 20% of the entire U.S. economy is front and center on not just the U.S. stage but the World stage and CBS is still talking about Trump campaign collusion with Russia? Does anyone now need to convince you that CBS is in the tank for all things anti-Trump? As you watch the Senate healthcare bill unfold, get debated and amended, and finally reconciled with the House bill, remember this: the process for making laws per the U.S. Constitution has NO provision for keeping the news media in the loop, does not dictate to legislators that they seek the advice of nor clue in the news media during this process, and that it is commonplace to have disagreements between lawmakers who are committed to do what they were elected and took an oath to do: create laws for the benefit of all Americans. Oh by the way, don’t forget that the crazy Left say anything they feel fits their narrative, and that it makes no difference if what they say is true. Why? Because Americans are too stupid to discern the truth from “politi-speak.” You are too dumb to understand that what they said today is exactly opposite of what they did 7 years ago! They honestly believe that, which is one more reason why Americans are steadily waking up to the fact that the Democrat Party either does not understand how good, smart, and honest most Americans are or — even worse — they don’t care. 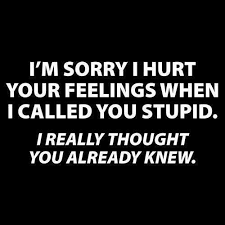 If they DID care, if they DID believe in your capabilities of understanding and making informed decisions for yourself, they would stop treating you like you are mentally so incapacitated you are incapable of reason. To that end I echo President Trump’s plea for Democrats to leave Nancy Pelosi in her position as Minority Leader in the House. She’s doing a pretty good job of showing just how Democrats continue to miss where Americans are in our thinking. She’s doing a great job — for the Conservative cause. Thursday was the BIG day: the day the Senate draft version of the “Repeal/Replace Obamacare Bill” was released. You may remember that a couple of days ago I quoted Senator Schumer as he blasted the GOP Senate plan just as he had previously done to the House version. However, he had NO idea of the contents of the Senate plan — no one did, not even most Republicans. Of course that did not stop Mr. “Obstructionist” from alerting all who could hear his voice that death, doom, and destruction were in the offing if that plan was put in place. Let me digress for a moment. I love football. Years ago I would bet on some football games — both NFL and NCAA. It simply made Saturday, Sunday, and Monday night and my love for football a bit more meaningful and exciting. 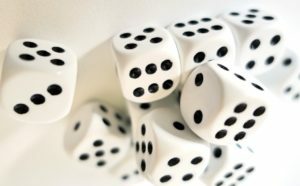 I’m not sure if you know how sports gambling is structured, so I’ll give you a quick explanation. If you bet $1.00 on a game, it seldom is just an “even” bet — that is if Team A beats Team B, you win the bet. To equalize the bet, there is a “line” placed on each game. If Team A is better than Team B, a line will be set making Team A “give up some points” to Team B — let’s say 6 points as an example. If you choose to bet Team A, you bet saying that Team A must beat Team B by more than 6 points for you to win. If you choose Team B, Team B can lose by as much as 5 points and you still win the bet, even though Team B loses the game. 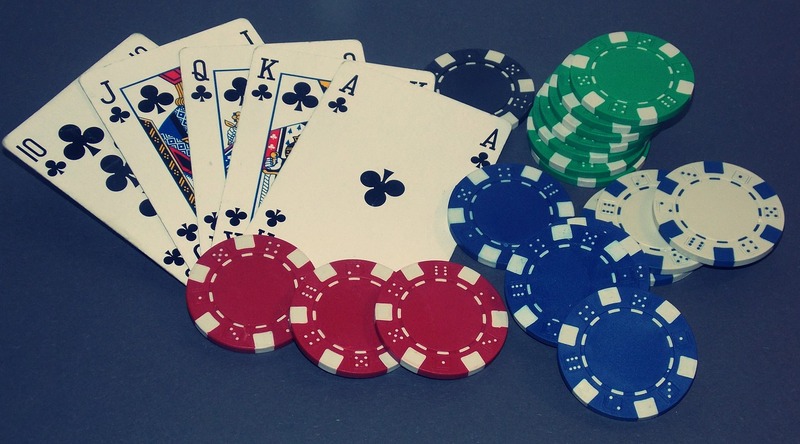 Further, each $1.00 game bet you lose, you must pay not $1.00, but 10% more — or $1.10. If your team wins you win just $1.00. So when I planned my bets, I not only had to choose which team I thought would win the game, but if that team would “cover the spread,” or win by more than the points they gave up. It got complicated. Funny thing was no matter how much I studied the teams, it seemed really hard to win more bets than I lost. Thankfully I did not bet much and did not bet many games. But I learned something from analyzing my bets every week: almost always if I had finalized my picks and instead of betting them the way my analysis pointed, turned them around and bet the OTHER way, regardless of what my analysis told me I should do, I won more bets than I lost — pretty much every week! Then House Speaker Nancy Pelosi in March of 2010 said this about the impending Affordable Care Act, or Obamacare: “You’ve heard about the controversies within the bill, the process about the bill, one or the other. 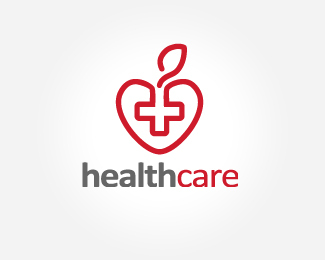 But I don’t know if you have heard that it is legislation for the future, not just about health care for America, but about a healthier America, where preventive care is not something that you have to pay a deductible for or out of pocket. Prevention, prevention, prevention — it’s about diet, not diabetes. It’s going to be very, very exciting. But we have to pass the bill so that you can find out what is in it, away from the fog of the controversy.” She later said this about a guarantee of Obamacare results: Nancy Pelosi said a fully-implemented Obamacare program would create four million American jobs — and 400,000 “almost immediately.” The nonpartisan Congressional Budget Office (CBO) determined in early 2011 that the president’s healthcare overhaul would cost the US economy 800,000 jobs. Democrats balked at the figure, insisting that the new law would be a job creation boon. most Obamacare plans restricted doctors and made no provision for physician choice; most health insurance companies either did or have since dropped out of the ACA; premiums have skyrocketed, some as much as 250%. there was no creation of 4 million jobs related to Obamacare. In fact, even factoring in added jobs in healthcare, no where near that 4 million number was achieved. Since we are now in 2017 with a pending replacement for Obamacare, what does that look like? Honestly, we don’t know yet. Obamacare was passed with no input at all from anyone — no floor discussion in either House, no amendments, no CBO rating, and not a single GOP vote for it. This current House Bill was fully disclosed in plenty of time for discussion and analysis in advance, the CBO has rated it, and now it’s in the hands of the Senate, which is rolling out their plan right now. Leftists even before it was released started their attacks — even with NO facts about it, telling their constituents basically, “No matter what’s in it it has to be bad for Americans and will surely help the rich.” THEY DON’T KNOW! The CBO has said they will have their analysis complete and released next week. So what do you do? Do you like so many on the Left simply dismiss this bill solely on the grounds of “if it comes from Trump and the Republicans it cannot be good.” Or do we wait, look at it ourselves and develop our OWN ideas, and wait for the CBO analysis? Let’s plug it into my football betting analogy above: Obamacare vs. the AHCA. Pelosi and a bunch of other Dems including President Obama made all those promises above (and more) that did not pan out. If you had bet the OTHER way about Obamacare, you’d have won. Let’s say there’s a 2-point line saying Obamacare is better, simply because it’s been out a few years. If you bet on Obamacare, you’ve got to give whoever you’re betting 2 points. If you bet on the AHCA you get 2 points and can win without actually winning the “game.” Of course nobody knows absolutely if the AHCA will fix all of the Obamacare ills because it’s not in place now. But we know most of the Obamacare deficiencies and that it is breathing its last breath now and is dying quickly. Which is YOUR bet? Mine? That’s not a fair question. Or let me state that’s not a fair question “right now.” Why? The AHCA is not complete and will certainly look quite different when it gets to a floor vote in the Senate than it does today. I’m not ready to bet yet. However, for those of you that bet on Obamacare and would do it again, consider my masterful gambling/bet conclusion in my analogy above: you like it but it probably will lose. But you want to bet it will win. Think about ignoring what you “think” and flip your bet around: bet on the AHCA. If you think Obamacare is a good plan, you would probably do much better on that bet if you ignored what you “think,” turn your bet around, and take the AHCA. And bet it BIGGGG! Seriously, folks, let’s chill, let the CBO rate the Senate bill AFTER it has been revised and amended, and then let’s make an educated decision on whether to ask our Senators and Representatives to pass it for President Trump to sign into law. Try my way just one time. I bet you’ll be right! Allegation after allegation are screamed from the mountaintop by the Liberal Left. And they ALL are refutable. Why is there no GOP leader — the House Speaker or Senate Majority Leader — who has the guts to stand up and say, “That’s a Lie!” and then explain why? Americans — especially conservative Americans — are sick and tired of the spineless Republicans who all ran in 2016 on President Trump’s coattails, his policies, and his promises to voters, stating they would support him. Here we are 5 months into his Administration and he is under a deluge of false news, departmental leaks picked up daily by the NY Times and Washington Post and turned into “the sky is falling!” and NONE of them will face the NY Times or the Post and say, “Those are absolutely false.” Kelly Ann Conway is the only person in D.C. that will routinely take the microphone and loudly proclaim that all of the fake and false news and non-stop allegations from Democrats and other Leftists themselves are untrue. Want some examples? Did you hear ANY Republican confront Senator Sanders? No. Nor did you hear any call him out about his claims when the CBO published their report that said NOTHING about any Americans dying because of the House Bill. Folks, Schumer has NOT seen the bill that’s being proposed. The bill that is to be proposed has not been drafted yet! But listening to Schumer it seems he has the bill in his hand, has had outside authorities analyze it for him, and is giving Americans a professional analysis of what it contains. He calls it a “shameful Trumpcare bill” and claims the bill will give uber-wealthy a tax break and middle class Americans will pay more for less. And he threatens that if the GOP won’t take the bill to the floor he’ll shut the Senate down. Remember: this is the guy along with his counterpart in the House that passed a bill that Obama signed into law that was/is the biggest financial boondoggle in American history — Obamacare — AND NOT A SINGLE SENATOR OR HOUSE MEMBER HAD THE BILL TO READ BEFORE EITHER HOUSE VOTED ON IT! Has any Republican or any member of the news media called Mr. Schumer out for making these outlandishly untrue statements or confronted him for making claims about a proposed bill that’s not even proposed yet nor does he know its contents? NO!!!!! I do not remember a single Republican member of the House or Senate confronting Ms. Pelosi on the above claim that if signed into law as passed by the House the AHA would take healthcare away from any Americans or that 1.8 million would lose their jobs. isn’t this a pretty outlandish claim that someone should take on? One of the many things all that take Sociology in college learn is that if something is said publicly and is NOT confronted, it is assumed to be true. Paul Ryan, where are you?!? Mr. Ryan is the Speaker of the House. He has a national microphone anytime he asks for it. Does he not think it is important for Americans — who most of are impacted by the existing and any subsequent healthcare bill — to know the truth and know when lies are told? Shouldn’t he confront Pelosi and demand the truth? Someone DID take on the Minority House Leader, and it was not a Republican legislator or a CNN, MSNBC, or FOX reporter. The Washington Post gave her two Pinocchios. 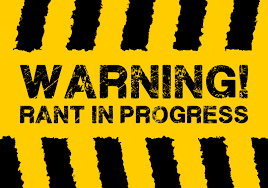 There is a report out there claiming that number of lost jobs from a historically “mistaken” statistical projection firm, but there are numerous other reports stating even with some job losses there would be jobs added that would probably result in a zero sum gain. Remember: In 2010, Pelosi also famously once predicted that Obamacare would “create 4 million jobs, 400,000 jobs almost immediately.” That wasn’t true either. There is example after example of this happening every day. Members of the House of Representatives and the Senate are full time employees of the American people. They took an oath that says: “I do solemnly swear (or affirm) that I will support and defend the Constitution of the United States against all enemies, foreign and domestic; that I will bear true faith and allegiance to the same; that I take this obligation freely, without any mental reservation or purpose of evasion; and that I will well and faithfully discharge the duties of the office on which I am about to enter: So help me God. Hmmm…….”I will faithfully discharge the duties of the office on which I am about to enter.” How can they do that without making certain that when false claims are made by any members of Congress about either existing or proposed legislation to all Americans via national media, those false claims are refuted using the same bully pulpit those telling lies use? It cannot be done. And their not doing so is a direct violation of the oath of office they swore to. PLEASE: CALL THEM OUT! Maybe just forward this post to your Congressmen and Senators. That might be a good start along with a phone message and email. 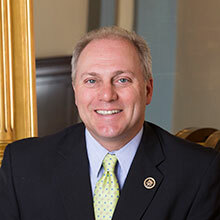 Above find a short compilation of comments from the Left regarding the attempted assassination of Congressman Steve Scalise (R-LA) last week by a crazed Bernie Sanders follower. I will not spend much time in boring you with quote after quote from the Left News Media or Leftist Political Pundits (like Nancy Pelosi) because we’re all becoming numb to them. However, I CANNOT grow numb to the insensitivity of those who take advantage of such a horror for political expediency. It’s one thing to tackle a foe on the field of battle. It’s another to take cheap shots at an opponent who has been mortally wounded (by someone on YOUR team, by the way) and is unconscious in the hospital fighting for life when these egregious statements were made. Scott Pelley of CBS Evening News stating that the Scalise attack was self inflicted illustrates perfectly how elitist America has lost grip on the reality of simple life that 99% of Americans live in daily. But we shouldn’t be surprised. Pelley — until the day after his statement when he abruptly “left” the CBS Evening News — as well as Joy Ann Reid of MSNBC and House Minority Leader Pelosi all live in that LaLa Land in D.C. and NY City where 2017 reality has no home. Their addresses are all on the same street: Political Elitism Avenue. Reality means nothing to them and their peers. After all, their positions and affiliations give them the right to live above almost all Americans. And simply because of their job titles, their 7 figure salaries, and their circle of influence that result from their jobs, make them smarter, more in tune with reality, and more qualified to discern for all of us the truth of what living in America in 2017 is. We are to forget about making our shrinking salaries reconcile with our taxes, healthcare costs, rising energy and food prices, outlandish housing costs, stagnant investment growth (the little we have been able to put away), while their income, investment portfolios, and economic futures soar. Why? Because they “know” the right people and are therefore “in the know” about all things important to you and me. What we think is insignificant. We are past the point where varied opinions are important. Yours is not important at all. Nor is mine. The only ones that matter are the connected ones. We are foolish to believe that we any longer have any say so in who is in the government, what the government does and does not do, and to believe that the government has any obligation to anyone other than their peers. And the elite in America have one job and one job only: to pay homage to those who have any shred of authority over them so as to get a foot in the race. They know that once you get in the race whether you actually win or not is unimportant. If you actually get in the race, you’ve won. Donald Trump does not have a chance. It is foolish to believe that the elitist Left will allow him to win all that he promised to do with the continuation of those things he has already instigated. They have done, do now, and will continue to build the plan of destruction of the President and his agenda (for which he was elected). It matters not a bit to them that the democratic election process for which thousands died to establish and preserve through 250 years is the process that elected Donald Trump President. The Left will not rest until one of two things happens: they somehow create a scenario of some criminal action perpetrated by the President that would lead to criminal law infractions that would result in criminal charges; or until he gets so tired of the constant onslaught of allegations from unnamed and anonymous sources that their partners in the Media spend all day every day ramming down the throats of Americans overcome President Trump’s desire to continue fighting, and he simply quits. If you think we are not close to either one or both of these scenarios, you are sadly mistaken. We are right there. I suggest if you have one grain of understanding and concern of the content of this post you forward it to everyone of your friends. There is only one way to stop this Liberal ship from sailing: American voter intervention. And only if it happens LOUDLY. It will not happen LOUDLY unless/until WE make it LOUD. If we do not take control, get ready to speak German, Italian, Greek, or French, or maybe even Mandarin.